The First Animal Your Brain Sees In The Picture Proves Which Pakistani Politician You Are! The way we perceive things is determined by our personality. A lot of it depends on the relation between the eye and the brain, giving shades of how our nature is; it can be harsh, pleasant, secretive or could have any other quality. The picture you see here contains 9 different animals, hidden above/beneath each other. 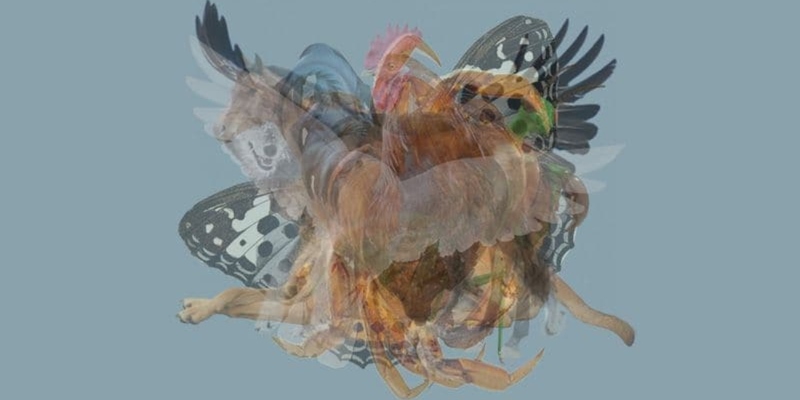 Even though all 9 animals are pretty easy to see, our brain will see one first. Subconsciously, the first animal you see shows what your personality is like. However, we’ve brought a fun twist to the game. 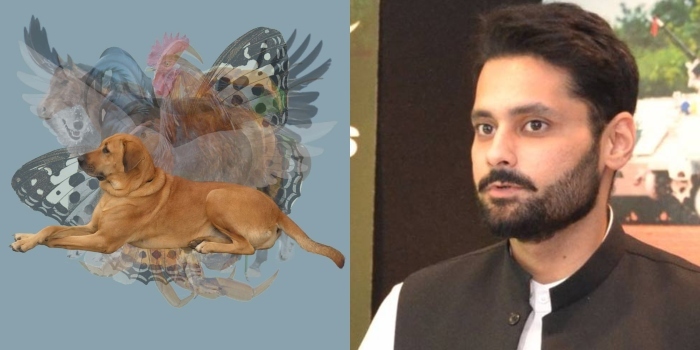 Every animal in the picture has traits of one famous Pakistani politician, and we’ve linked them. So, whichever animal you see first, proves which Pakistani politician you are most like! Let’s begin. 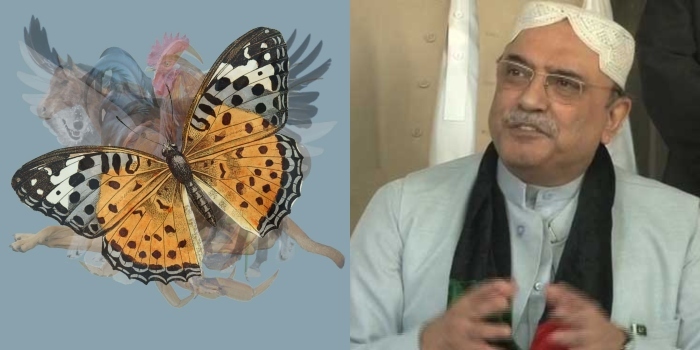 If you saw the butterfly first, your personality is most like Asif Ali Zardari, the PPP Chairman. The butterfly has a duality of nature. They might look charming from the inside, but they’ve suffered tough times themselves. Just as a butterfly lives in a cocoon, Zardari spent 11 years in jail. Grabbing attention from the outside, but a different indomitable creature from the inside! 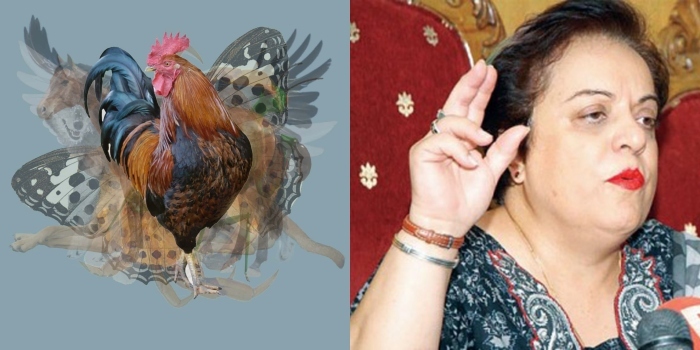 If you saw the rooster first, you’re most like Shireen Mazari, the Minister for Human Rights from PTI. The rooster is a quick, witty, smart and skilled animal. People always think of you as very calm, until they see your bad side. That’s exactly how Shireen Mazari is – good at what she does, but once you get on her nerves, she surely catches up on you! If it is the dove you saw first, you have traits similar to Chaudhry Nisar, the PML-N think-tank and politico. 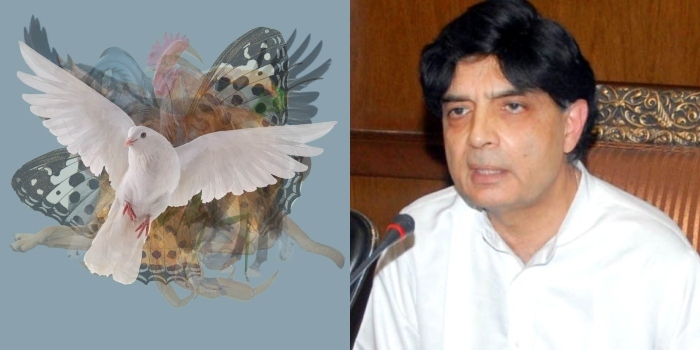 The messenger of peace, just as the dove, Chaudhry Nisar tried to bring peace between PML-N and other institutions. You are calm on the inside like the dove and Nisar but are strong enough to carry yourself through the bad times. 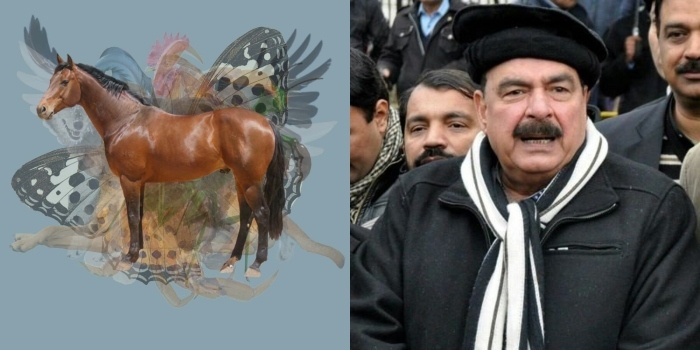 You saw the horse first, you’re most like Sheikh Rashid Ahmed of the Awami Muslim League. You’re wild, free and cannot be contained. You’re meant to break rules, just as the horse and Sheikh Rashid. You can see Sheikh saab sitting on top of police vehicles, sitting down to eat nehari and paye on the streetside and still be able to march along like a horse in Pakistani politics. If it’s the man’s best friend you saw first, your personality is more like Alamgir Khan and Jibran Nasir. Two politicians who have worked for the betterment of the people, as their friend and not politicians. They help out where they can as social activists and are always ready to get their hands dirty for it. They are trustworthy and commit wholeheartedly to people and causes. 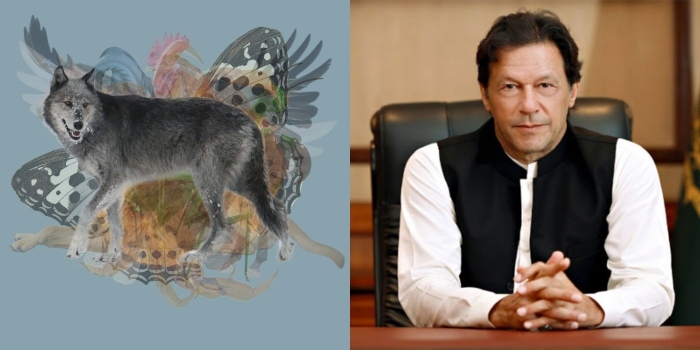 If it’s the wolf you saw, luckily you’re most like Imran Khan, the Prime Minister of Pakistan. As a wolf, Imran Khan is a spiritual guide who carries a lot of wisdom. Mysterious, yet bold, you are the leader of your pack, like the wolf and Imran Khan. You refuse to follow social norms and rules, want to build on things and better them. You have qualities of a true leader! 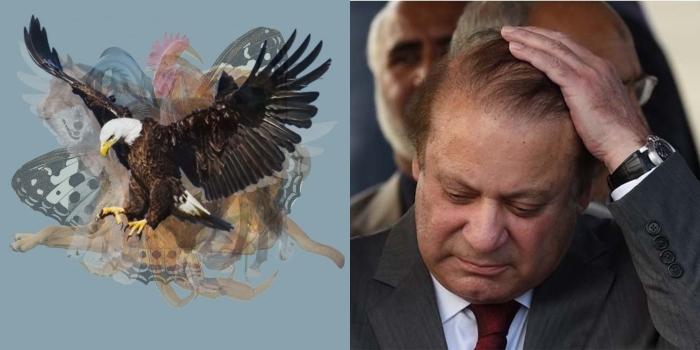 If it’s the Eagle that caught your eye, you’re like the former PM of Pakistan, Mian Muhammad Nawaz Sharif. Just as an eagle, Nawaz Sharif had no fear of taking a leap in all the things he did, which might be good or bad. You carry yourself with confidence and have no time for useless drama. You are brave and are not afraid to do things that might be considered conventional – be it mega corruption like Nawaz Sharif! 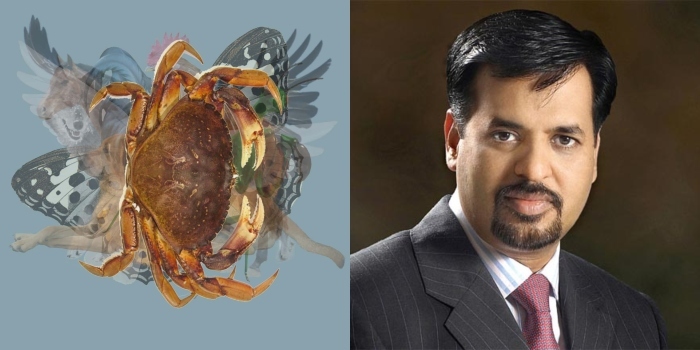 Seeing the crab first proves that your personality most depicts that of Mustafa Kamal, the Paksarzameen Chairman, and Ex-MQM member. Just as a crab, you are hard on the outside and soft from the inside. Mustafa Kamal, too, acts tough on things, but from the inside, he knows things aren’t easy. 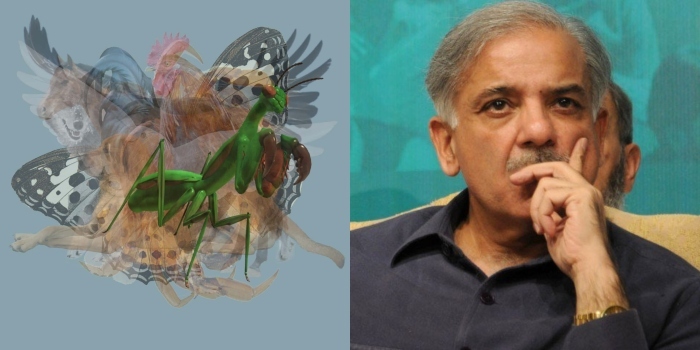 If it’s the Mantis you saw, your personality is just like Shehbaz Sharif, the PML-N leader. The mantis and Shehbaz Sharif both work with patiently. They are never in a hurry to pounce on their enemies or on opportunities. You too, like them, love to take time and not jump to conclusions. You remain low profile, but you know, when the time comes, you’ll emerge as the winner.